Reach for the sky. If this has been Neymar's plan ever since he was a kid we don't know, but the golden boy from Sao Paulo has never been afraid of dreaming big, even dreaming of gold. 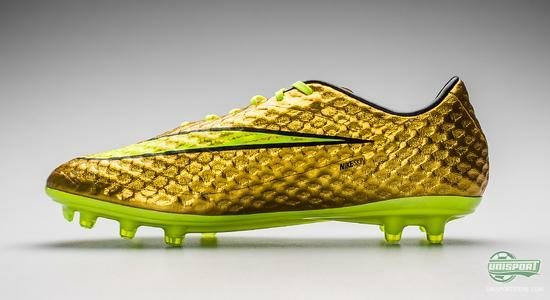 Therefore, Nike now present Hypervenom - Sonho Dourado (Golden Dream). Come along and check it out right here. With the World Cup, and certainly also Neymar, in full swing, it is no surprise that Nike are making use of the momentum. Brazil have just qualified for the final 16, very much thanks to Neymar Jr. who has been playing like a dream, and is currently, all by himself, in the top spot in the goalscoring chart with four goals at this point in time. 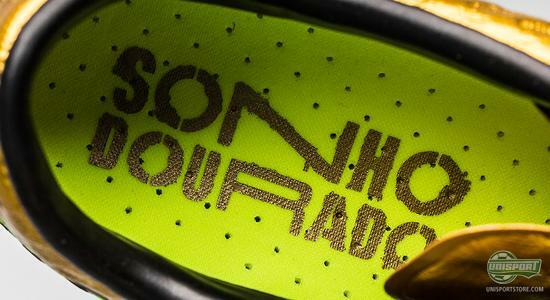 Since Neymar, in 2011, won the title as football player of the year in South America, the Brazilians have had great expectations for the now just 22 year old kid with a talent out of the ordinary. A talent that has brought him all the way to FC Barcelona, and now also with the legendary number 10 on the back for the most successful football nation in the world. 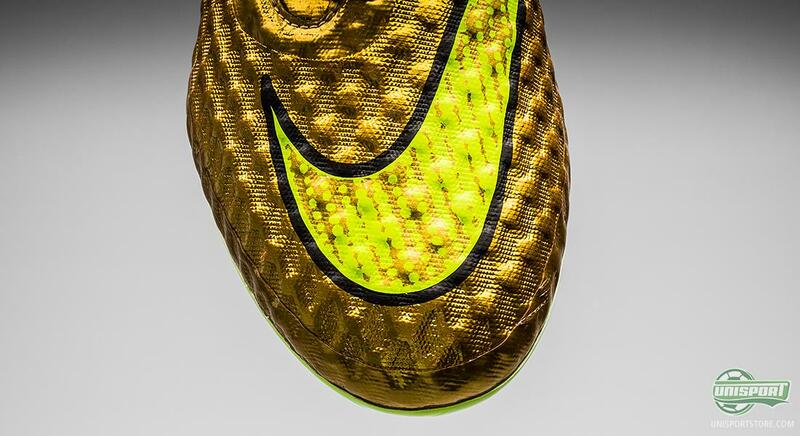 That Neymar has made it is simply a fact, but to Neymar himself, this is not necessarily much of a surprise. The Kid from Mogi das Cruzes in the state of Sao Paolo has always had the belief that he would become Brazil's new football hero. 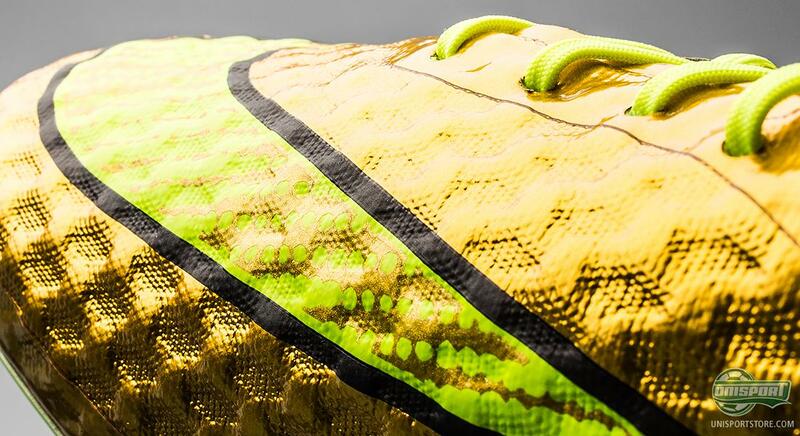 And it is this belief in success that Nike have been inspired by with their new version of the football boot, that is the preferred choice by Neymar, among others. 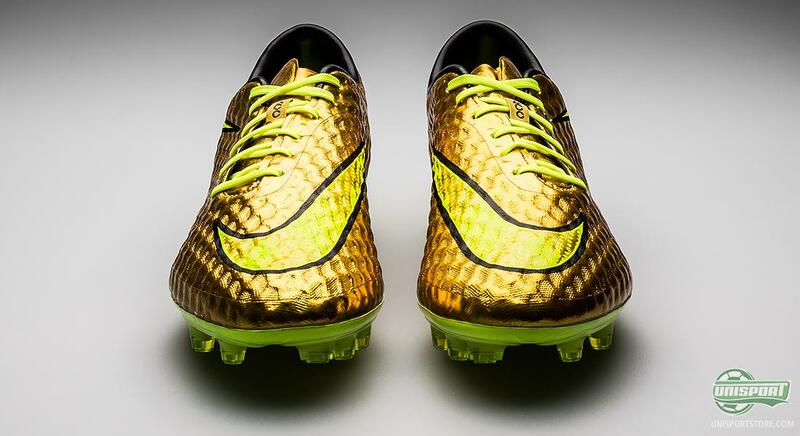 The Hypervenom Sonho Dourado (Golden Dream) is based on Neymar's youth years, where he proved his talent in the streets and in his youth club Portuguesa Santista. As a young player, Neymar, similar to many other hopeful youngsters, had a belief that he would one day become the new star of Brazil. His dreams were so big that he used a spray can to paint all of his shoes and football boots golden. Nothing less for the player who will one day bring Brazil back to the very top of the World Cup. In order to celebrate the creativity of the young Neymar, Nike have follow in his footsteps and designed the boots just as he used to do as a kid. In addition, the left inlay sole you will see the drawing of a spray can and a Hypervenom boot, while the right inlay sole writes Sonho Dourado with the well known Hypervenom writing. The Hypervenom Sonho Dourado still comes with the same specifications as we know from the previous models. 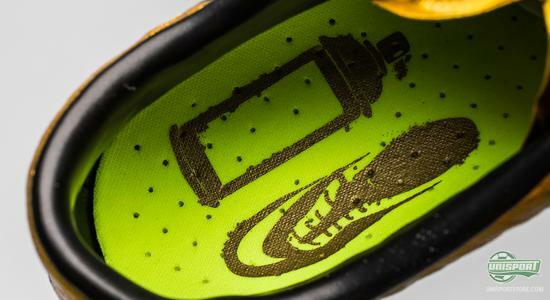 Hereby, the boot is still built on the GF13 last, which is Nike's new anatomical last that is developed to be able to adapt to a wide range of feet. The result has been a hugely popular boot, as both wide, as well as narrow and long, as well as short feet are able to feel comfortable in the boot. The golden upper is inspired by Neymar's golden dreams as a boy; but just because the boot is golden it doesn't mean that it shouldn't have the characteristic NikeSkin and ACC technologies. 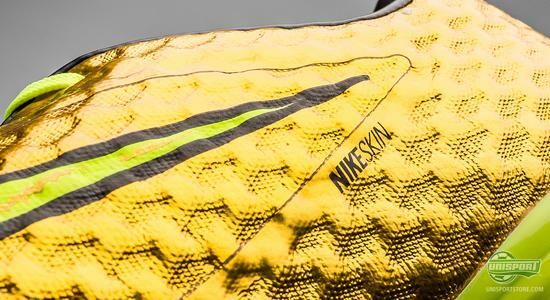 NikeSkin is constituted of soft and supple mesh, which is tied together by a thin layer of polyurethane foil, which provide great strength to Nike's football boots, as well as flexibility and durability. 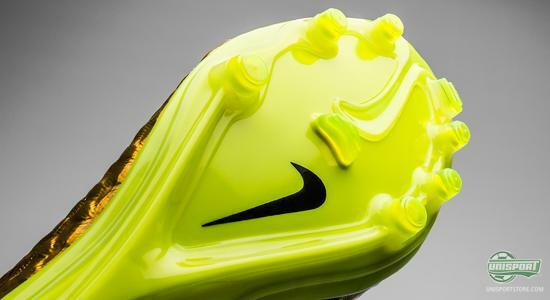 To finish off, Nike have developed their All Conditions Control , which ensures a consistent grip, regardless of the weather conditions. 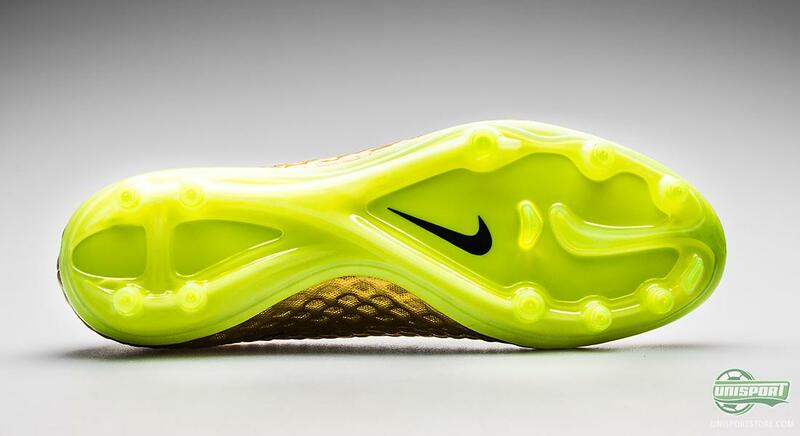 Also the stud configuration keeps the characteristic spit-toe design. 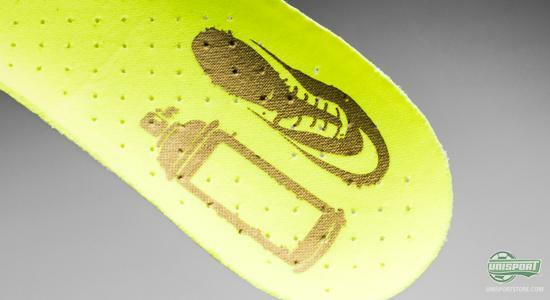 Hereby, Nike have created an outsole that ensures a lot of power to your initial acceleration, as the energy is primarily coming from your big to ans the medial side of your foot. 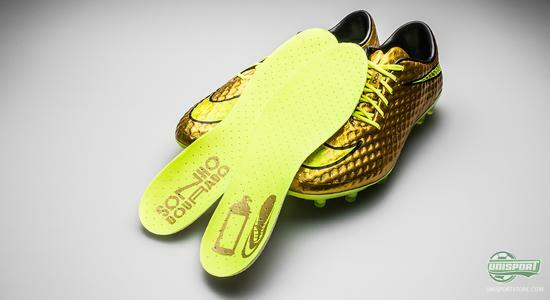 The result is is a more stable grip to the pitch and it allows you to increase your speed in connection with rapid twists and turns. 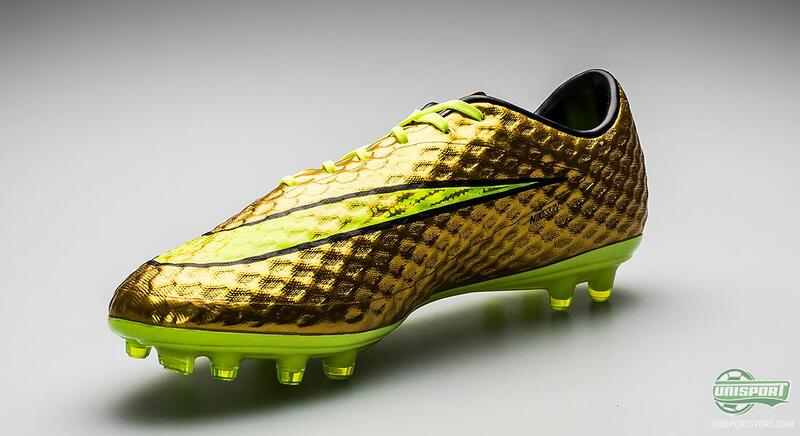 This Hypervenom is however not like all the others. 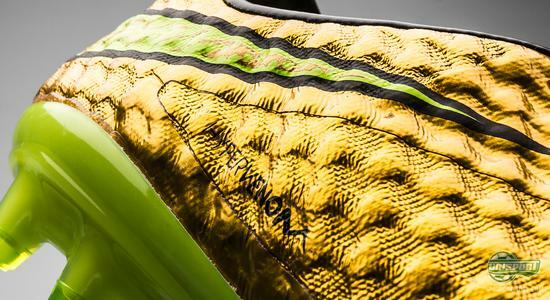 It carries the history of Neymar Jr. 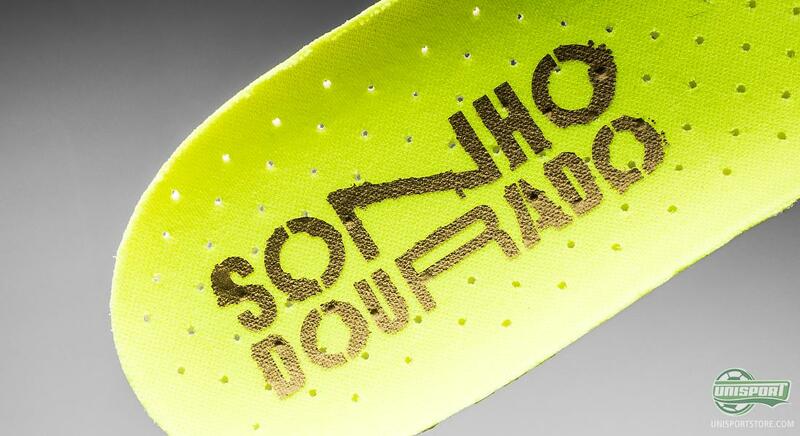 The history of a Brazilian boy, born and raised in Sao Paulo, with big dreams. Dreams of becoming the new hero of Brazil. And this new golden Hypervenom almost gives you the feel of having spray painted the gold on your boots. 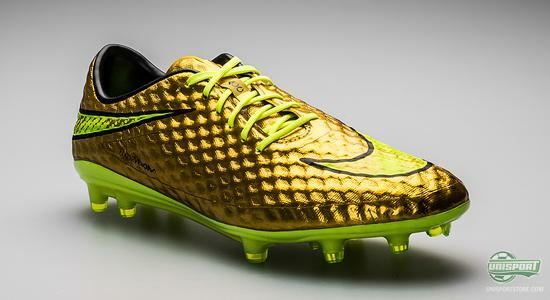 Neymar is expect to wear his new Hypervenom Sonho Dourado as Brazil take on Chile in the round of 16 on the 28th of June. Here, he will try to bring his country even closer to the trophy that the Brazilian people have been longing for, for 12 years. 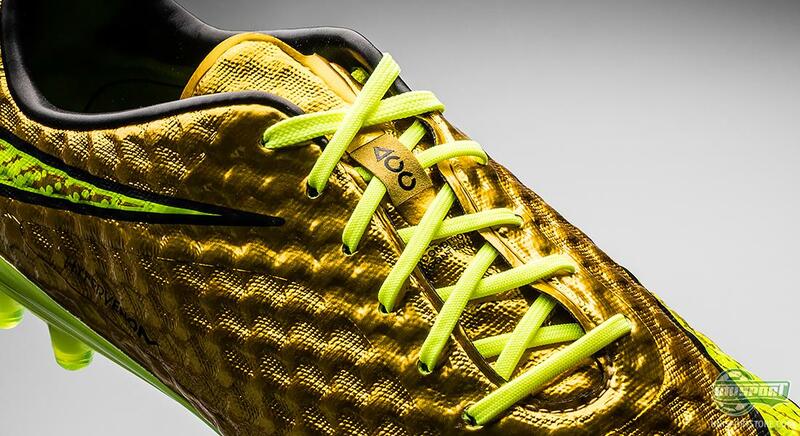 The question is, if the new football boots can realise Neymar's golden dream of taking his country all the way to the gold, as his idols has done it five times in the past. Nike have today revealed their latest colourway for the Hypervenom collection and it celebrates one of the biggest football players right now, not just in Brazil, but in the whole world, Neymar Jr. And as the golden boy that he is, the boots are inspired by his golden dream of becoming Brazil new football hero. 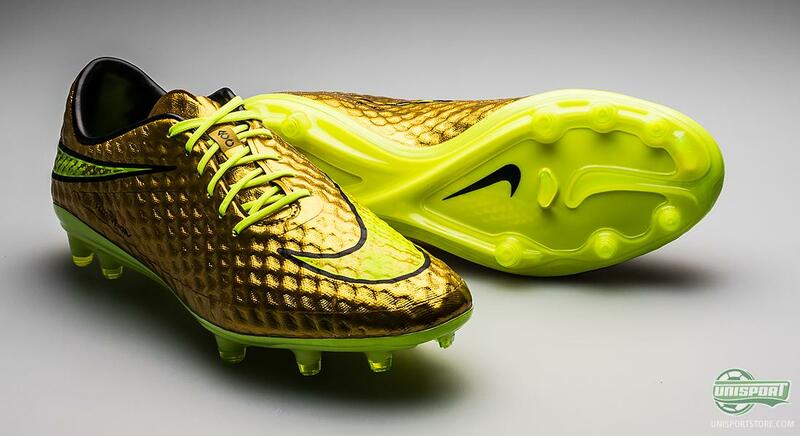 What are your thoughts on the golden football boots? Take your football passion to a social level and share your thoughts on Facebook and Instagram.